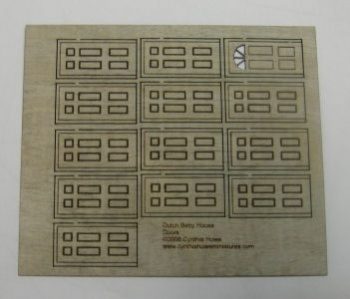 These laser cut doors are made from 1/65" thick birch plywood. They are the perfect detail to add realism and dimension to your baby house. Sheet includes 12 interior doors, and one exterior "front" door with fanlight window above.